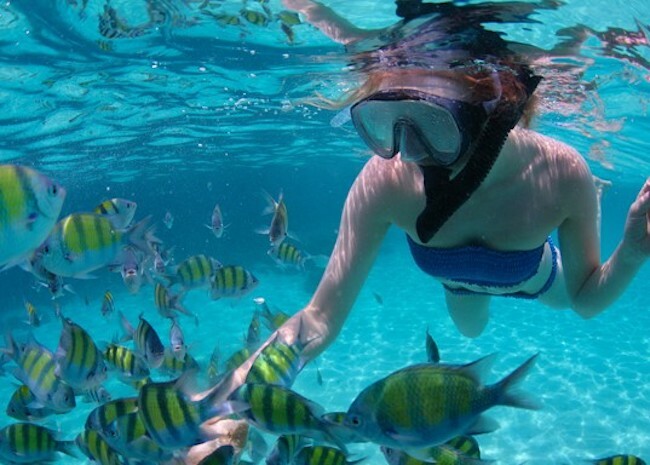 What is the Best Cozumel Three Reef Snorkeling by Boat Tour? Cozumel, located on an island in the Caribbean Sea, is the home of healthy coral reef marine communities. Cozumel snorkeling map contains beaches that are part of the Mesoamerican Barrier Reef System, the second largest coral reef system in the world. Coral reefs surround almost the entire island of Cozumel; therefore scuba diving and snorkeling tours are two of the main attractions in the island. Cozumel remains as one of the world’s diving meccas visited by thousands of divers each year. If you haven’t gone to Cozumel yet, it is never too late. Pack your diving gear as soon as possible and check out your cozumel snorkeling map for some must-visit reefs such as the ones listed below. Why go Snorkeling to Villa Blanca Wall? Located just across the famous Villa Blanca Hotel. The dive can be quite intimidating at first as the location is between two piers. If you are an inexperienced snorkeler, you might get caught under cruise ships, so be careful. However, when you are finally underneath, the wall after wall of astonishing reefs will surprise you. The abundance of sea life such as sea turtles, rays, nurse sharks, barracudas, moray eels, white spot triggerfish, scrawled filefish, and colorful schools of fish will also mesmerize you. How to get there: The dive is done between two cruise ship piers: The Puerta Maya Cruise Ship to the south and the dock in town to the north. The boat that will take you there will know the right spot. What is the Chankanaab Reef? This reef, although not as thick as other famous reefs, contains beautiful wonders and doesn’t fall short with impressing snorkelers. The crystal clear waters include different kinds of corals such as brain and fan corals, and sea life such as sea urchins, barracuda, bright triggerfish, groupers, and many more. Swim a bit more toward the wire fence dolphin enclosure to take a peek at trainers feeding and training dolphins where you can get as close as a couple of feet away. Perfect for families, children can walk into the shallow part of the beach and see colorful schools of fish swimming nearby. How to get there: Get on a taxi from the Cozumel ferry dock to take you to Chankanaab Park. Where is the Paradise Reef? It is the first reef you will see upon entering the marine park. It is also one of the easier dives where snorkelers will see lots of beautiful corals, sea anemones and various types of fishes. It also boasts of a nice nighttime leap where you can see Octopus, Crabs, Lobsters, Sea Stars and Cucumbers. During daytime, prepare to see an abundant sea life including nurse shark, stingray, eagle ray, and many more. How to get there: Hop on a boat that will take you south of Puerto Maya Cruise Ship Pier where the shallow part of Paradise Reef is. It takes about 30 minutes or less depending on the current. 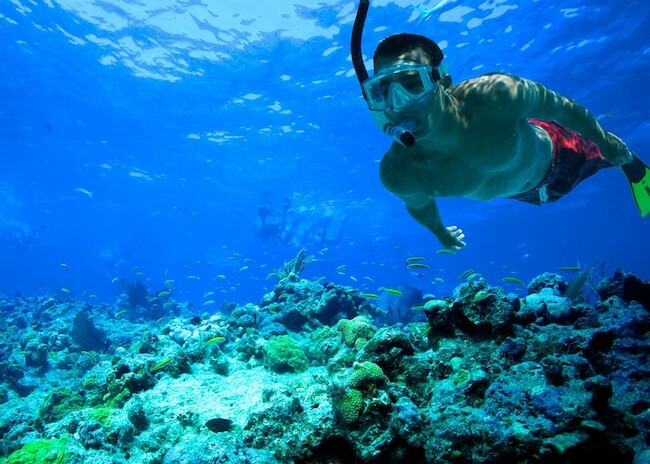 Cozumel snorkeling map has the most fantastic snorkeling reefs that you must visit. You will arrive in awe with all the marine life and snorkeling beaches surrounding you once you’re underwater.